LinkedIn is a very powerful tool which doesn’t only help us to quickly find potential customers, but also the people we have in common with them. However, only few sales people know the possibilities LinkedIn offers. That’s why we present the 7 most important ways to find prospects via LinkedIn in this article. As small business advisors, when we are called in for marketing assistance our staff evaluates each client’s goals on who they are looking to reach. Often, sites like Linked In are quite relevant to their potential growth. The prerequisite for the following tips is that you have built the foundation of your network and have defined your target group. 1. Use the Advanced Search option to find the names of the people who are on your prospect list. Look who you know in common and ask your contact to connect you with the prospect. 2. Use the Advanced Search option with parameters you have used to define your target group. Take into account there are several synonyms for the same function. 3. Browse through the Connections of your own contacts and preferably your current customers and also sales people who sell another product or service than yours, but who have the same target group as you (for example people who sell paper when you sell copiers). Why? Because chances that they have potential customers for you in their network are much bigger than with other contacts. If you have found a prospect, ask your contact to connect the two of you. 4. Become member of the Groups your customers, prospects and other sales people are member of. For starters you will find a lot of people in just one place. Secondly you can raise your visibility and reputation by helping people in Discussions. A third benefit is that you will be able to contact other Group members directly, even when you are not connected personally. 5. Create “Alerts”. Alerts are searches you save and which are automatically run by LinkedIn. In this way you are automatically LinkedIn is a very powerful tool which doesn’t only help us to quickly find potential customers, but also the people we have in common with them. To get the best results, we need to build the foundation of our network. Next to that you need to make a good definition of your target group. Only then you won’t only be able to use LinkedIn more effectively and efficiently, but also get real results and alerted when potential customers have become member of LinkedIn or who, after changing positions in their company, suddenly became member of your target group. 6. Look in LinkedIn is a very powerful tool which doesn’t only help us to quickly find potential customers, but also the people we have in common with them. To get the best results, we need to build the foundation of our network. Next to that you need to make a good definition of your target group. Only then you won’t only be able to use LinkedIn more effectively and efficiently, but also get real results.companies and look for Divisions. If the company is already a customer of yours, their Divisions are possible prospects. It surprises me time and again how bad the communication between departments is (in other words: not much Word-of-Mouth advertising). So use LinkedIn to find people in other divisions and then ask for an introduction or referral. 7. Look at Network Updates on a regular basis. For example when someone changes positions or companies. You can then take action to find out whether you can become supplier of the new company and you can ask your contact to introduce you to the person who use LinkedIn is a very powerful tool which doesn’t only help us to quickly find potential customers, but also the people we have in common with them. To get the best results, we need to build LinkedIn is a very powerful tool which doesn’t only help us to quickly find potential customers, but also the people we have in common with them. To get the best results, we need to build the foundation of our network. Next to that you need to make a good definition of your target group. 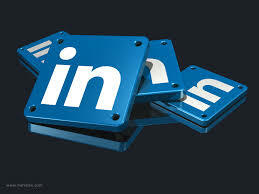 Only then you won’t only be able to use LinkedIn more effectively and efficiently, but also get real results. the foundation of our network. Next to that you need to make a good definition of your target group. Only then you won’t only be able to use LinkedIn more effectively and efficiently, but also get real results.exceeds them. Another reason why to keep an eye on the Network Updates is that you can see whether one of your competitors links with one of your current customers. This might be an “alert” to call your current customer and find out whether he is still happy with your products or services.